There are several things to consider when thinking about Cebu homes for sale. Ownership of land in the Philippines is reserved for Philippine citizens, or Filipinos. A non-Filipino, expatriate (expat), foreign citizen, can't own land in the Philippines. You must be a Philippine citizen to own land in the Philippines. Keep that in mind no matter what anyone tells you. An expat or foreign citizen can have a legal 50 year lease on land with a 25 year extension. An expat can take legal title to a building (for example a house, apartment building or commercial building). An expat can also take title to a Philippine or Cebu condominium IF 60% of the condo's in the building are owned by Filipinos. Let's take a look at the 3 main areas to be concerned with in regards to real estate; Renting, Buying a Cebu Condominium, Buying Cebu homes. Renting property in the Philippines has it's own set of unique circumstances to deal with. The majority of the owners of properties have no real idea of the value of their rental property. Prices can vary from a simple 1 room studio apartment for $80 a month to high end houses in subdivisions renting for $2,000 per month. The idea of unfurnished here truly means nothing is included. No appliances or furniture. The lower end apartments are usually in neighborhoods that may not be safe or are a distance from the main road. Neither of these situations are good, especially if you don't have transportation. There are some exceptions and it takes a lot of looking around to find a decent inexpensive place. Or, if you are willing, there are boarding houses, dormitory type rooms that can be found for a low price. I have stayed in some of these before and they are ok if the need arises. My recommendation is to find an apartment or house in a subdivision. There are several gated and guarded subdivisions where the owners of the houses have apartments attached to their Cebu homes. These offer the best value for the money and safety. The owners are much more friendly and will often treat you like a member of the family. Most often the apartment will have a separate entrance and it's own kitchen. There are also condominiums for rent in various buildings starting at around $400 to $1,000 and up. They usually provide good security and locations. If you're interested in renting a house I suggest focusing on the subdivisions. Some of the Cebu homes for sale can also be rented. Safety and security are a major concern when choosing a rental property. And again, the owners of the subdivision properties are more likely to treat you with some respect. When renting a property always use a trusted local attorney. Buying a Philippine or Cebu condominium can also be a good way to go for some people. There are in fact some pretty good deals on Cebu Condominiums and there are some new buildings in the planning and construction phase right now. These are all in uptown locations close to major shopping malls. A Cebu condominium can also be used as an investment property if you desire. If you want to buy a Cebu Condominium use an attorney and do your homework. If you are not married to a Filipino citizen then make absolutely sure of your legal right to take title to the condo. Buying a Philippine house for sale or Cebu home can be a good deal, or it can be a nightmare. Once you have expressed a desire to buy a Cebu home, dozens if not hundreds of people will come out of nowhere offering you property. Ignore 99% of them. I would suggest the same as renting, focus on the subdivisions. This is where the best value for your money can be found. 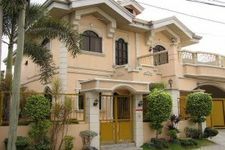 Stick with subdivisions that have been developed by a reputable, nationwide, well-known real estate developer offering a Philippine house for sale. These are usually corporations that have been around for a while and have developed several properties. If you are married to a Filipino citizen then you can simply include your name on the contract to purchase. If you're not married to a Filipino citizen then I highly suggest taking title to the house (the building only) in your name and leasing the property from the corporation that developed the subdivision. A 50 year lease with a 25 year extension is legal in the Philippines. Some people may suggest setting up a Philippine corporation to own real estate. The corporation must be 60% owned by Filipinos. Who is going to own that 60%? This puts you at a serious disadvantage. Use extreme caution when doing this in relation to Cebu homes for sale.